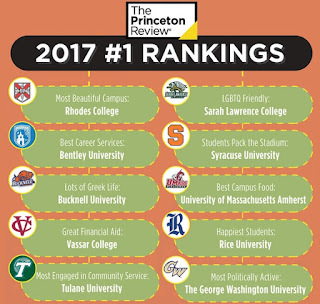 The Princeton Review has released its much-anticipated ranking of the greenest colleges in the US. This is the seventh annual free guide of environmentally responsible colleges. 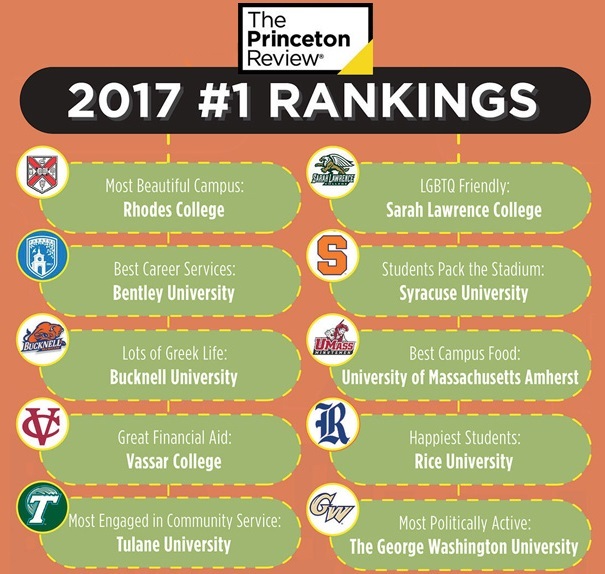 The 2016 edition of the Princeton Review Guide ranks a total of 361 Green Colleges. The leading colleges are models of sustainability. They have shown leadership in terms of their academic offerings, career preparation, campus policies, initiatives, and activities. Each of the 361 schools in the guide gets a detailed write-up that focuses on things like energy usage, renewables, recycling and water conservation. The guide includes a ranking list of the top 50 green colleges. First place went to College of the Atlantic (Bar Harbor, Maine). Among its many green distinctions, COA became the first carbon-neutral college in 2007, they own and steward 300 acres of forest and farmland, which provide research and educational opportunities for students and faculty. The school has done energy audits and students helped to research the installation of solar photovoltaic arrays on campus. Students are also helping to implement a program by which the campus will by fossil free by 2050. A total of 27 percent of their total food expenditures of the schools in the top 50 colleges goes to purchase local and/or organic food. More than three quarters of new construction on their campuses is USGBC (www.usgbc.org) LEED-certified, 98 percent offer an undergraduate major or degree that is sustainability focused and 100 percent have a sustainability officer and sustainability committee.